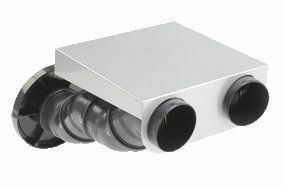 The OASE Proficlear Premium Discharge Kit is designed to fit the Pump Fed Drum Filter and/or Moving Bed Modules when the Individual Chamber Module is not fitted or required. The Discharge Kit elevates the Drum Filter or Moving Bed Module outlets to maintain the optimum water level. This allows the Drum Filter to be used on its own as a mechanical filter to extract pond waste (when connected to a suitable Solids Handling Filter Pump). The Drum can also be fitted with the new Bitron ECO UV Clarifier to kill suspended algae which is then taken out of the process by the automated Drum Filter. 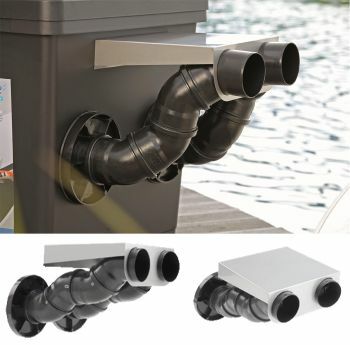 The Discharge Kit terminates In 2 x 110mm Outside Diameter / 100mm (4 inch) internal diameter Polypropelene Pipes for push fit onward connection to pond using DN100 push fit pipes & bends. 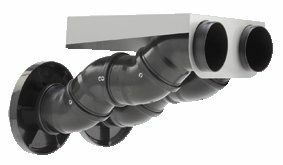 Discharge Kit Includes Stainless steel support bracket for secure installation. Suitable for connection to the OASE Proficlear Pump Fed Drum Filter Module. Also Suitable for connection to the OASE Proficlear Moving Bed Module.